As some of you may know I just rebuilt my primary workstation/flight sim computer. Stats below. As part of the build I needed to create a thumb drive installer for Windows 10, so I went to the MS page and downloaded their Windows 10 Media Creation Tool. In preparation for the clean install I had previously condensed all of my data, about 4TB to an external storage device. I normally keep two copies of my data on two separate drives, but I intended to wipe and re-format my two spinning drives for use in the new build. I did the build and ran into some WHEA issues on the first Windows install, which I did from an older (outdated) but trusted thumb drive. While running this OS I did all of my prep to reinstall with the fresh Windows download. After confirming all of my data was safe on the external, I ran the Windows 10 Media Creation Tool and went through the menus, including selecting a USB thumb drive as the intended location for the Windows installer. The menu clearly showed the Kingston thumb drive, nothing else. I ran the tool and it proceeded to download Windows. After the process ran, the tool formatted the thumb drive and finished. I went to check the thumb drive...it was empty. I went to my external drive and found that the tool had selected the external drive rather than the Kinston drive it was directed to. The tool then re-formatted my external drive that was the repository of my complete body of work. I've attached an image below. 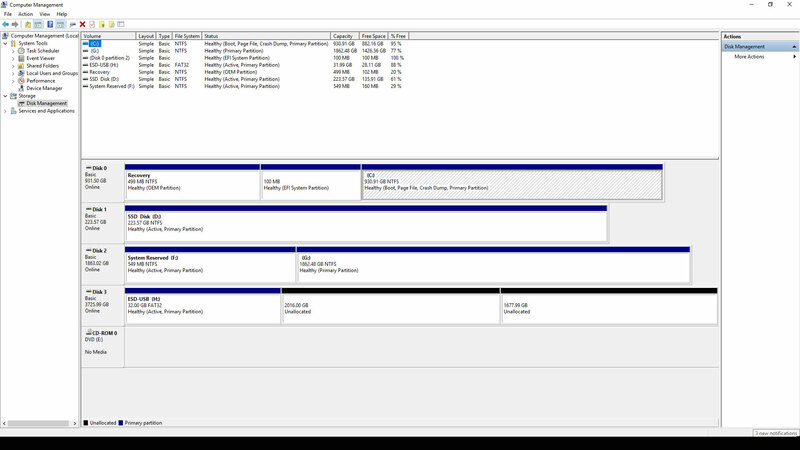 As the image shows, the drive space not used by the tool was converted to un-allocated partitions. As of today, 4TB of work representing approximately 52,000 man hours of my labor is now locked on those partitions and essentially lost. I understand that recovery is possible, but if the file structure is destroyed the data is useless. Imagine going into a law library and tearing every page from every volume and dropping them from the sky into a big pile. The pages are numbered 1,2,3...etc. to near infinity. To re-assemble the pages into volumes would be a staggering undertaking. That is the status of my data...as I understand it. At this point I must regretfully inform this community that all of my works in progress, both past and present are essentially lost and I will not be able to re-assemble the jigsaw puzzle. It would take years. This is a devastation to me and to my wife who has supported and tolerated my 100 hour work weeks for our entire married life. I will not subject her to that again. Along with the loss of my development work, nearly twenty years of research and documentation is destroyed. Photos and bitmaps are probably recoverable, but hundreds of geo data tiles are useless without a file structure that catalogs where they go along with the thousands of autogen files that are associated with specific files. Anyone who has done scenery development knows what I am referring to. The same goes for aircraft modeling. Each part is associated to one or more hand painted bitmaps, which all use similar naming conventions. Sorting through hundreds and hundreds of bitmaps to re-assign to thousands of scattered model parts is unrealistic. The animations are another story entirely. I would be most appreciative if any one of our technically brilliant members could point me toward a data recovery modality that can recover data, and file structure. Without that I'm cooked and permanently out of the development game. I frankly find it outrageous that Microsoft does not have a simple safety feature built into it's Media Creation Tool that recognizes it has made a mistake and is on a huge storage device, not a thumb drive, and present a "Are you sure you want to format this drive?" message before wiping out a persons entire life work. Simply mind boggling. I am most sincerely sorry to disappoint you, my friends. Check your mail please Gordon!! Gordon, sorry to hear of your bad luck and data loss. A few years ago I accidentally wrecked a WD External drive by moving it while it was running. I had all my pilot manuals on that drive and they became inaccessible. Although it cost me a pretty penny, I was able to retrieve most of the data by taking that drive to Best Buy and giving it to the Geek Squad. They sent it to a retrieval unit in Kentucky who were able to reconstruct most of the data. Perhaps they could help you as well. Just a thought...good luck. Gordon I am very sorry to hear about what happened. With all the problems you have it seams like there is a conspiracy try to stop you from working. I think mal998's advice is good. If you have not started to use the the disk you may be able to recover it, you even be might be able to 'unformat' it. I would remove the disk from the machine and send it to a service that specializes in data recovery, it may not be cheap but you can start a go-fund-me account, I will contribute. I appreciate your post, thank you. My first move was to de-power and unplug the external storage drive. I've researched two candidate software for data recovery, and I'm confident that I can recover the basic files, even if they are not in my original file architecture. What will happen is different file types can be directed to dedicated folders. For instance all of my 3D Studio Max files can be tasked to a dedicated folder. Same for all other file types. Once I have Max files segregated I can retrieve a specific file which I am confident will retain the mesh, and more importantly the animations. I know you will understand how big a deal that is. From that stage I can query the model and it will/should remember the bitmaps attached to it. If I organize all of the bitmaps in a bulk file, the query will isolate a group of candidates i.e. "fuselage" and I will recognize the artwork. Of course, all of my 3D Studio material libraries will need to be reconstructed. This brings up another point. If I intend to rebuild the model for FSX, each part right down to shimmy dampers on a nose gear will need to be re-applied to every part on every model. That's a huge task. If, on the other hand, I intend to move forward into Prepar3Dv4 PBR modeling only, then all of those parts would need to be re-painted in PBR anyway. No net loss, only a commitment to PBR. The scenery projects are a different story. I can recover the huge archive of geo data satellite images, and locate them by the GPS data inherent in their title. The autogen files are a different matter entirely...that may be a total loss, and that represents hundreds of square miles of hand annotated trees and individual buildings. Reno alone was complete with a hand placed house, model or building on every footprint. The logistics of connecting the autogen .bgl file to each specific tile are staggering. I'll need to put on my thinking cap for that one. Bottom line, the modeling and animations are very likely going to be recovered intact. I'm hoping that this is the case. Skinning the models will be arduous, but I very likely will not have to repaint hundreds of individual skin components. The infuriating part is this was avoidable, and I didn't F up. This was an anomaly in the MS software, and it cost me dearly. It surely does not improve my already less than glowing view on Microsoft and Mr. Gates. . . . . .I would remove the disk from the machine and send it to a service that specializes in data recovery, it may not be cheap but you can start a go-fund-me account, I will contribute. Ditto here Gordon, I'm sure the community would rise to the occasion with financial support when needed. Just say the word. Gordon...yes, it is an MS problem....and it's maybe unfortunate you hadn't encountered the issue earlier on a 'less' mission-critical machine. It's become 'best-practice' when doing an install/format a new MS OS to only ever have the specific required drives attached....like the USB and intended Boot/Install drives.[C]. First thing....don't power up or attach the mangled drive to anything until you've got it to a recovery expert/co. It'll cost a few bob...but way less than doing it all again. Formatting only rewrites the first letter of the file names to something the OS is designed not to recognize ....like wingimage.bmp becomes %ingimage.bmp [sort of], and data recovery people can usually reverse-engineer the process....takes time...ergo...takes money. I know it's useless to your current situation but also the best procedure with dealing with any data retention is redundancy backups that reduces the potential for losing it all....actually making it essentially impossible to lose. I will also contribute to a go fund me if you go that route Gman. I can't imagine how infuriating it would be to lose a decade worth of work! Count me in as well...your work is marvelous. I always have my data backed up in two locations, usually three if I include the desktop folders I actually work out of. I had rearranged/condensed the data, specifically for this build and clean Windows install only, with the intention to go back to redundant systems after the build checked out as fully operational. The redundant systems approach has served me well for years, at least until this moment of vulnerability. Indeed, I will not make the mistake again. Windows 10 is kinda scary deal at times especially MS updates. I have an internal and external HDD for backup. Sometimes the power goes out while working in PS6 and when I boot back up its been backed up in SSD memory as a backup file with no loss of work. It's like it's in suspended state. It amazed me the first time that happened. I thought I lost hours of work. jeeez, that is really bad news! I feel for you, I lost quite a lot of paintwork with an external HD that went awol once, but this is on another scale. Let me know if I can help! I have a copy of your latest NI. Let me know any other way that I can help you. I'll be in for a GoFundMe to help recover your files, if possible, GMan. My brother works in IT and once managed to recover a family's wedding images from a corrupted hard drive that had, incredibly, been sliced in two. We're in the UK but if nothing else works for you PM me and I'll ask him about it, see what he thinks. 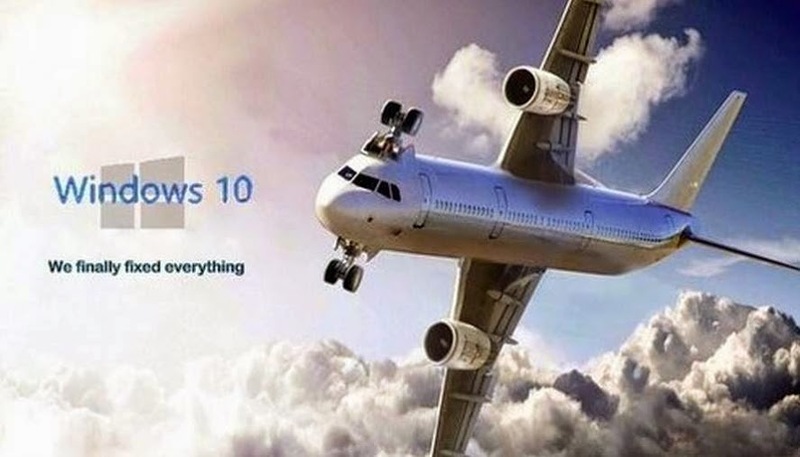 When Windows 10 first came out I had a look at it and ****-canned it. Went right back to Vista and Windows7 with all their warts. Haven't had a software issue since then. Gordon set up a go fund me page. I will help and lots of others will do the same. I'm sure we can get you up and running again. Time and patience will win the day. Bill, If you could zip that up and put it in the Drop Box it would be a life saver. Much appreciated. BTW, I'm in the process of restoring Skype comms. Spoken like a true gentleman Ed. I know you have also suffered a similar data loss if memory serves. I would, under normal circumstances not accept help from friends, but I will give this option due consideration. Much of the work lost is intended to be freeware for our community, therefore a community effort to help restore the projects is quite honorable. I'm wayyy out here in the south forty in Eastern Kalifornia, so finding a tech worthy of the task is unlikely anywhere close. The last time I used the local guy, it resulted in my first massive loss of data a few years back. Looking forward to Skype contact. I've spent the last couple of days evaluating the pros and cons of using a recovery program, or sending the external to a specialist. I have shared my work with trusted friends who are gathering up those aircraft and scenery and zipping them back to me. I will then have working copies of all of those projects. In the case of the scenery it is imperative that I have the file containing the satellite imagery along with the corresponding autogen .bgl files. Having those working files in hand will resolve the autogen crisis as I have always done my annotation work in the working sim folders, only saving them out externally for redundancy. The working aircraft files will give me a logical record of the texture files associated with each model, and something to fly when I get Prepar3D re-installed. My major concern is that the 3DS Max files are intact when they are recovered. These are high poly models representing an insane amount of time. When I have high confidence in either of the options I'll choose the option that I think is safest. If I do the recovery myself, I have an advantage of knowing my work intimately. A recovery specialist will most likely have limited experience or understanding of the complexities of simulator modeling and it's unique skill sets. On the other hand, they do this every day and may just hand me back a restoration of what I had before this....errrrr....event.